Summer has finally sprung upon us. Though you may prefer to escape the hustle and bustle in favor of the crisp air near the Aegean Sea, spending summer in the city is truly magical, especially since you can, literally, find a taste of Mediterranean serenity without having to island hop. If you can’t afford an exotic adventure to Greece or Coastal Italy, you can, at least, take your taste buds on vacation. 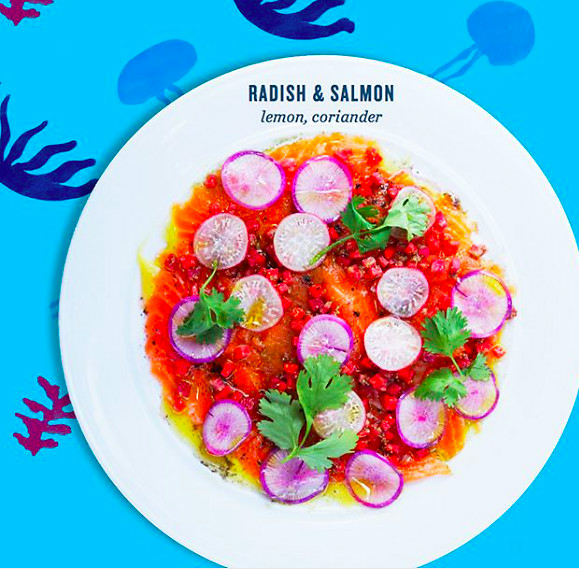 Serving up dishes inspired by the traditional coastal fare of Spain, Italy, and France, Cafe Medi is not only a go-to for delicious and unique Mediterranean, but also for an amazing ‘gram. The beautiful space boasts an airy atmosphere, complete with high ceilings and stunning murals on the walls. Come summer, there’s also outdoor terrace seating – perfect for pretending you’re catching a seaside breeze. Cafe Medi, 107 Rivington St. 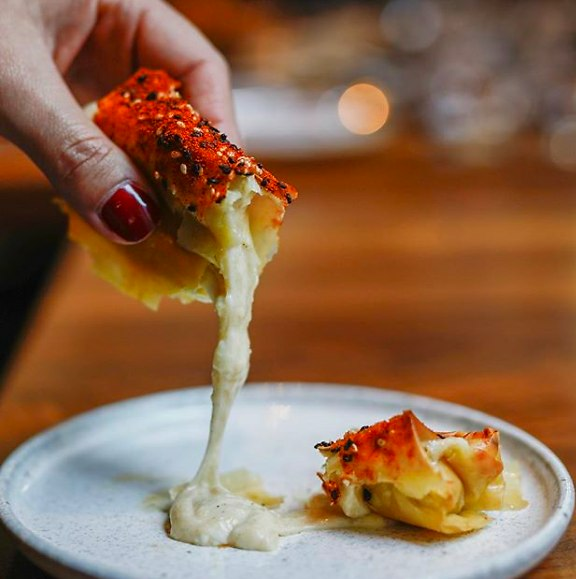 Located on the Upper East Side, Yefsi highlights charm and sophistication in their authentic meals, focusing on appetizer meze dishes. 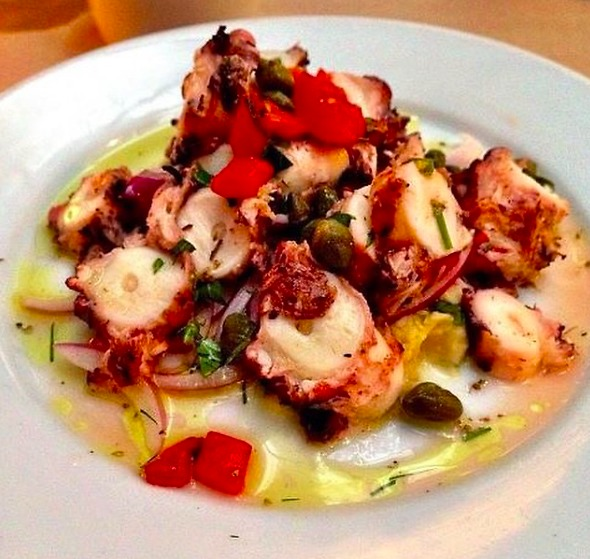 Enjoy a plate of grilled octopus with a chilled Retsina white wine in this dimly lit restaurant. Date night, anyone? Yefsi Estiatorio, 1481 York Ave.
Craving seafood? 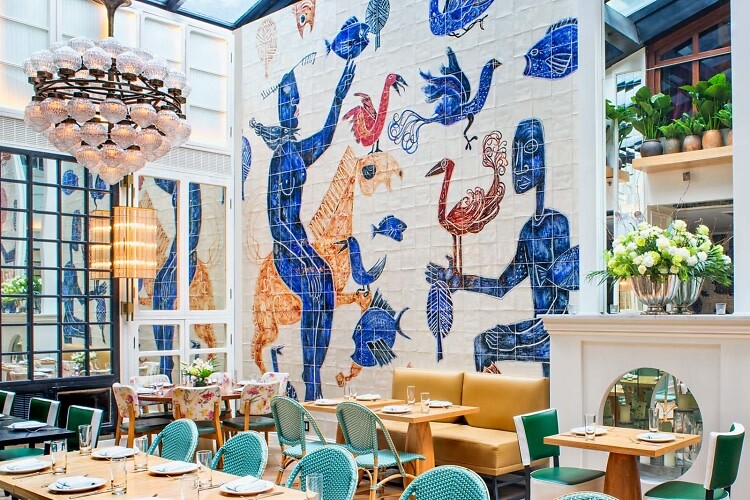 This upscale eatery on Madison Avenue emanates a “villa vibe” with extended outdoor seating available, displaying fresh whole fish from the Aegean upon entrance. Avra Madison Estiatorio, 14 E 60th St. 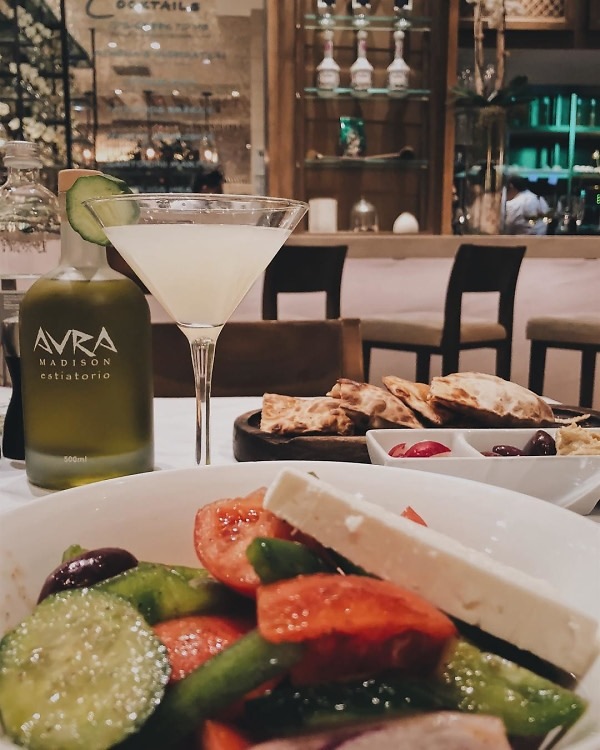 The Greek Tribeca offers a cozy escape, where creative dishes and natural vines and greenery capture the spotlight, as if you were sitting in an outdoor taverna in Mykonos on a hot summer night. The Greek, 458 Greenwich St.
Named after the volcanic island featuring pristine clear-blue water, Milos is an NYC favorite. Its sleek interior truly brings out the contrasting colors native to Greece and sharpens the focus on the incredible seafood. 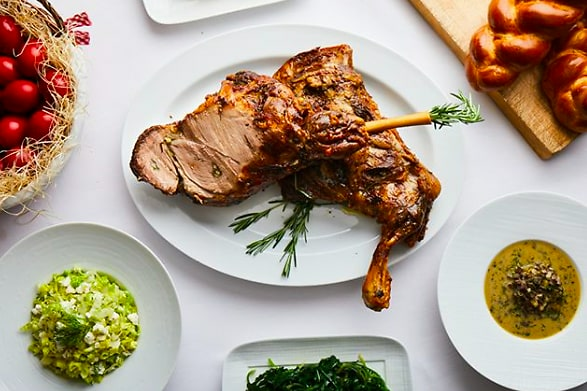 Estiatorio Milos, 125 W 55th St.
Just a quick drive down the West Side Highway transports you to the beauty of Greece as you stumble upon Ousia, a recently opened restaurant on 57th and 11th. Conveniently located next to the Landmark movie theater, enjoy a bite of their hummus and pita, maybe some cocktails and a spanakopita, after a show. Ousia, 629 W 57th St. Walking down the grey and white cobblestones, you will immediately feel as if you’ve stepped foot into a local taverna in Santorini, greeted with white walls and blue straw chairs. 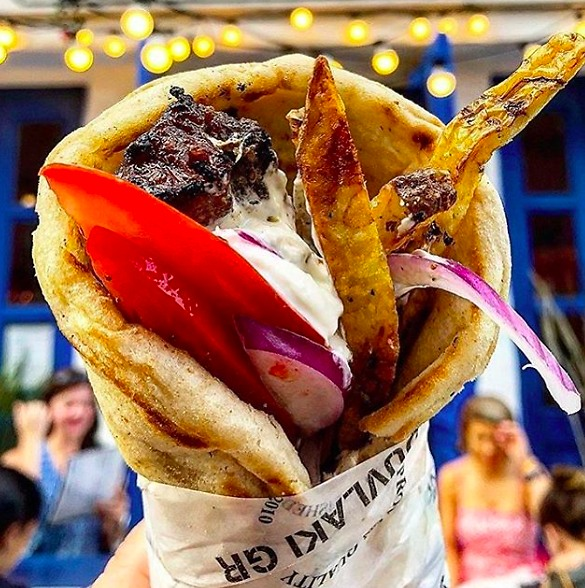 If you’re looking for something more laid-back but as equally delicious as an upscale restaurant, journey to Souvlaki GR for their famous bifteki sandwich or a few souvlaki skewers. Sit back, relax, and breathe in the fresh air of Greece while situated in the middle of the Lower East Side. Souvlaki GR, 116 Stanton St. Tired of Greek food? Hop on over to the Amalfi coast for this Italian-Mediterranean fusion restaurant situated just beneath The High Line. The glassed-in, jewel box of a space creates the perfect atmosphere to munch on some seafood and pasta after a day of roaming around Chelsea. A small, intimate setting with colorful plates for curious palates awaits New Yorkers on Macdougal street. 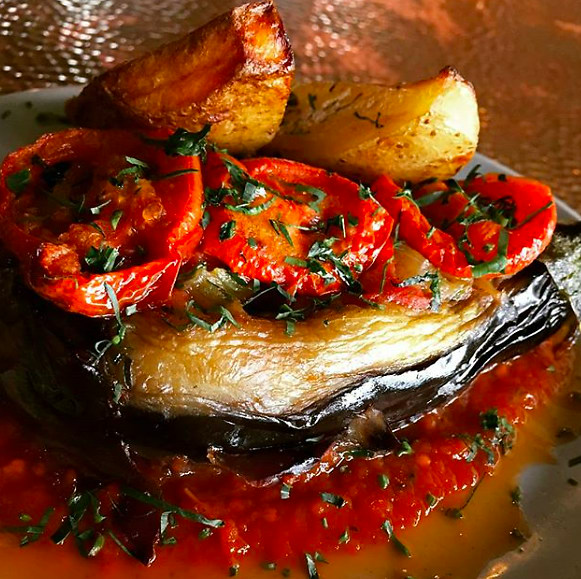 Shuka offers Mediterranean fare, creative cocktails, and a trendy clientele. 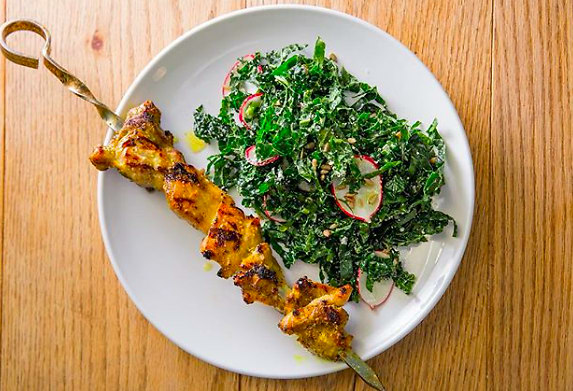 Enjoy shawarma, shakshuka, and other small plates as you wine and dine while seeing and being seen.